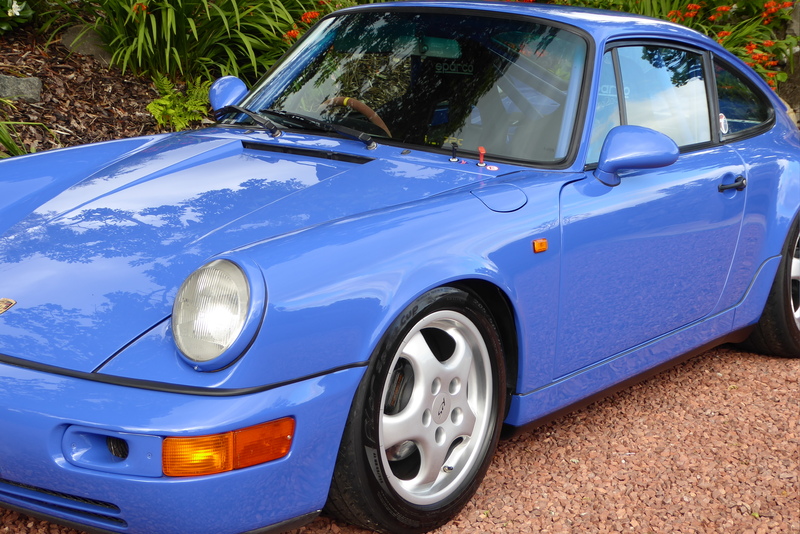 The Three Fifty Six is our favourite Porsche ever however the 964 is our favourite 911. 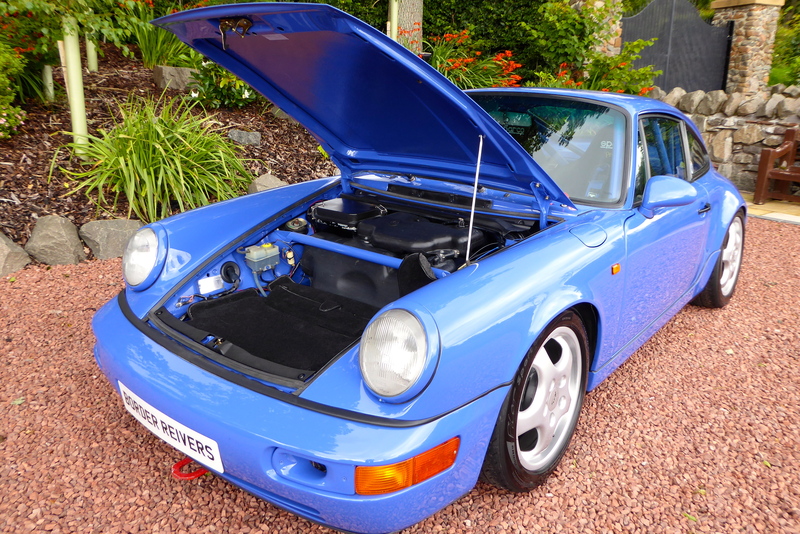 With prices of the 964 RS now having gone ballistic, very few people will now use them as they were intended. 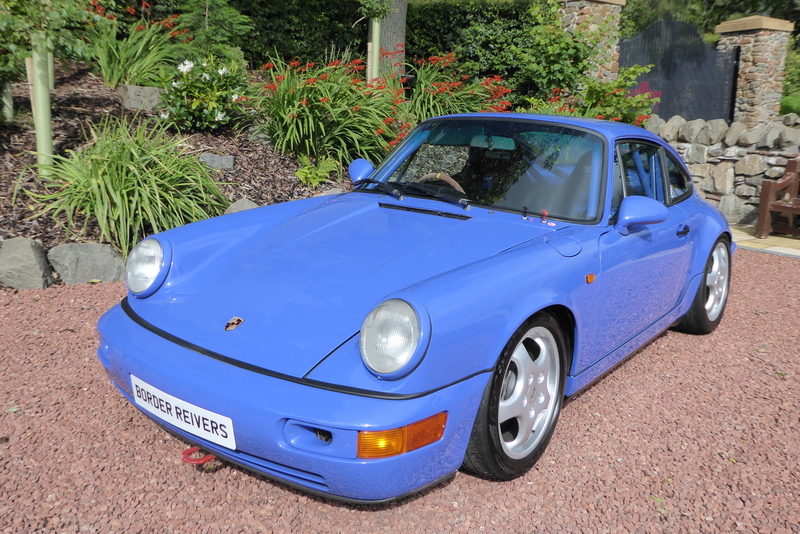 We modified and raced them in the day when they could be purchased for around £20k, now any standard 964 coupe needing restored is worth that. 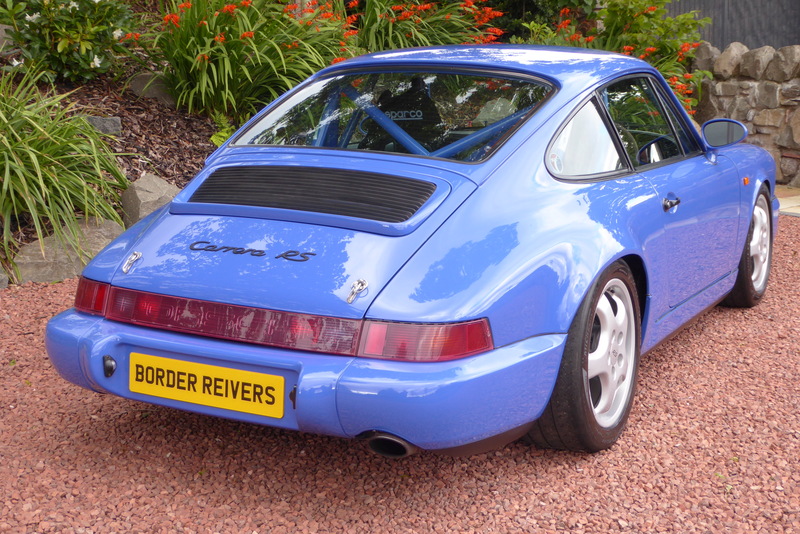 We decided to build our own tribute 964RS N/GT because you could on get the original in Left hand drive. 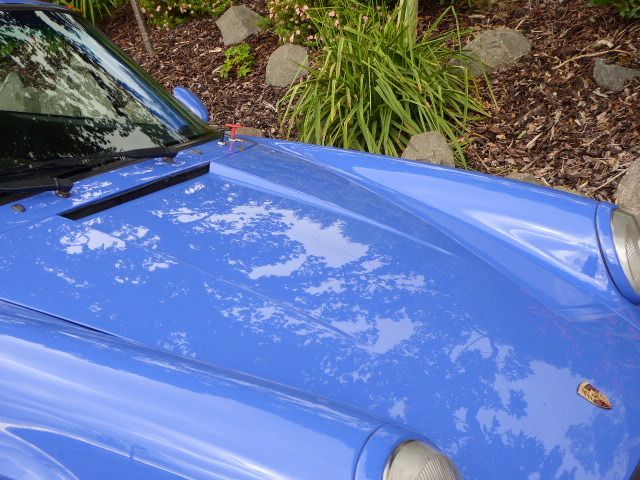 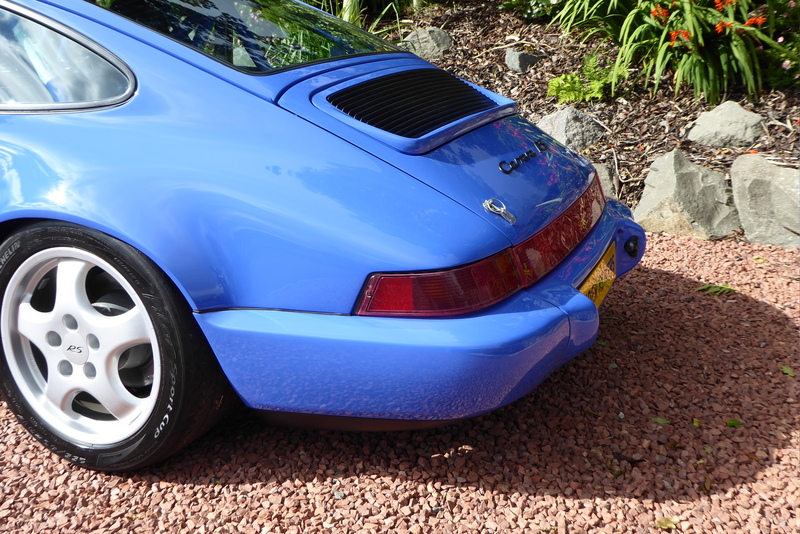 We took the Porsche championship winning 964 race car known as the (Goose) stripped it to the bare metal removed around 3 tins of filler before painting it in the beautiful colour of Porsche maritime blue. 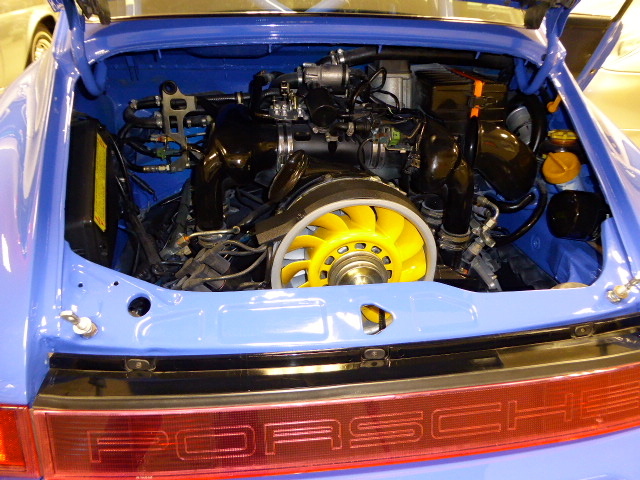 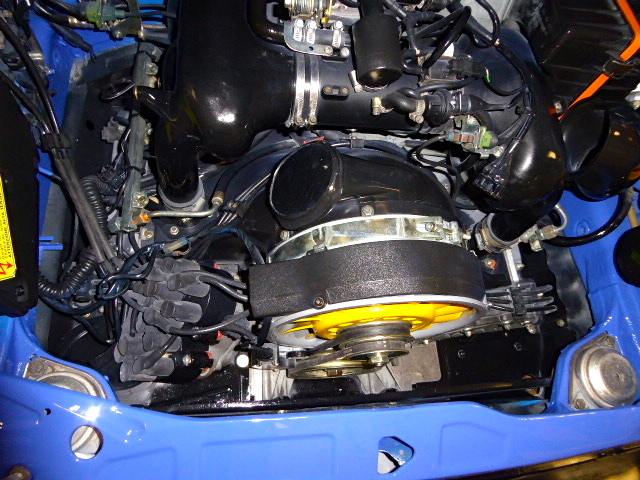 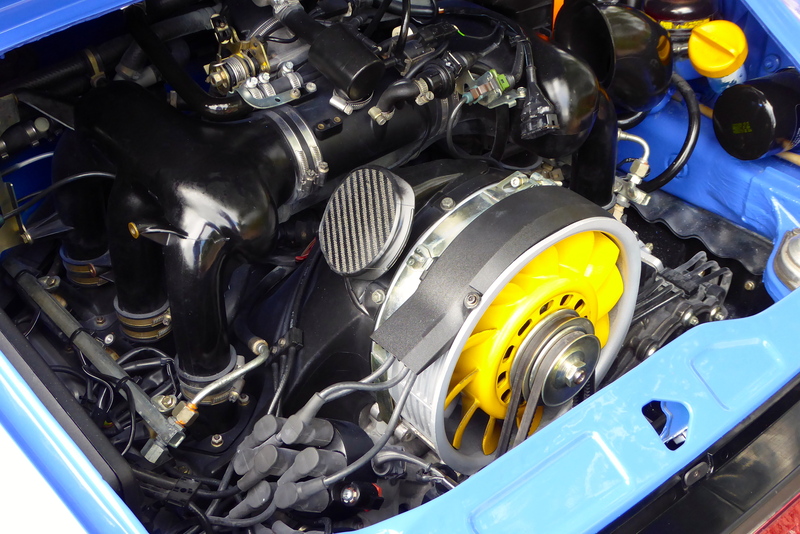 rebuilt engine, fitted some genuine RS & RSR parts we had in the shop, including a set of refurbished cup wheels . 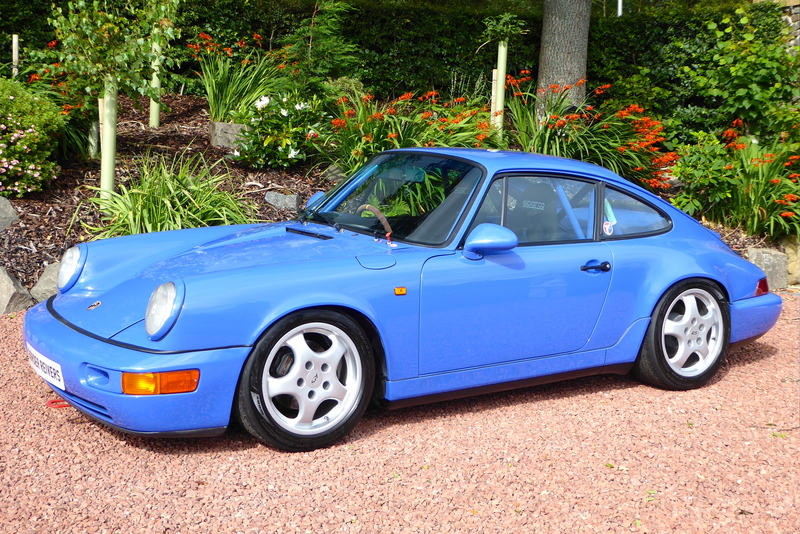 This stunning looking Porsche 964 is now lighter & faster than a standard 964RS without the ridiculous price tag. 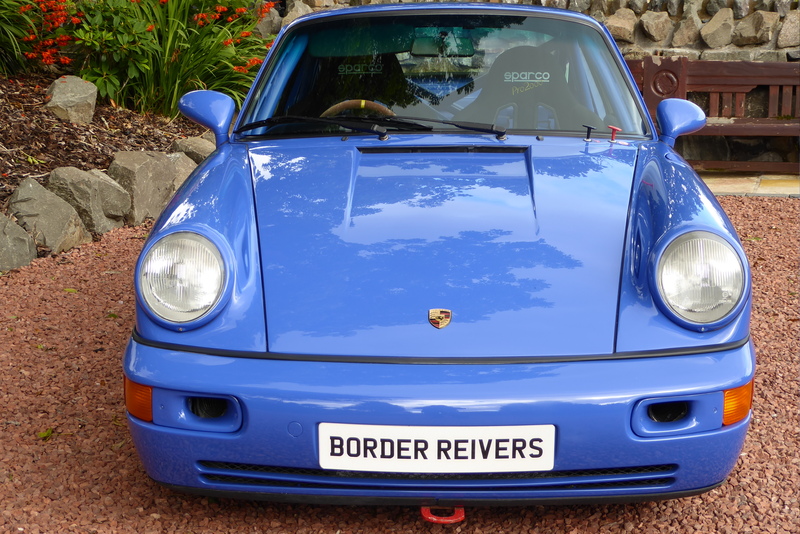 We have decided to sell it & invest in another of our projects. 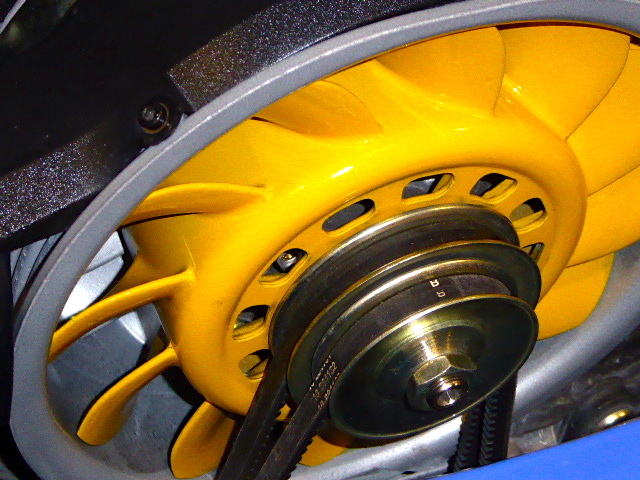 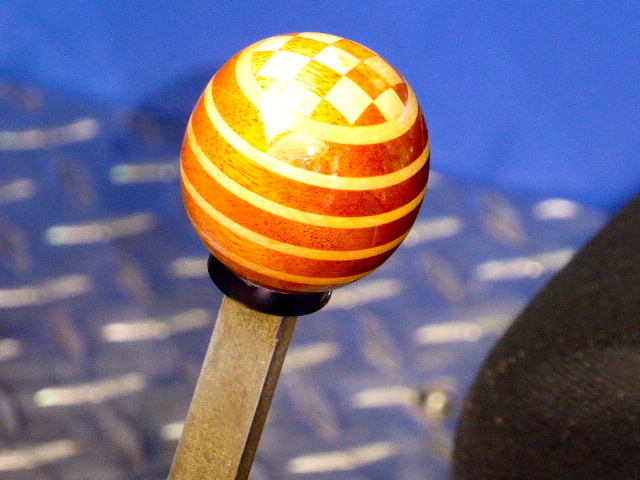 More images of the restoration on our restoration/preservation page of our website. 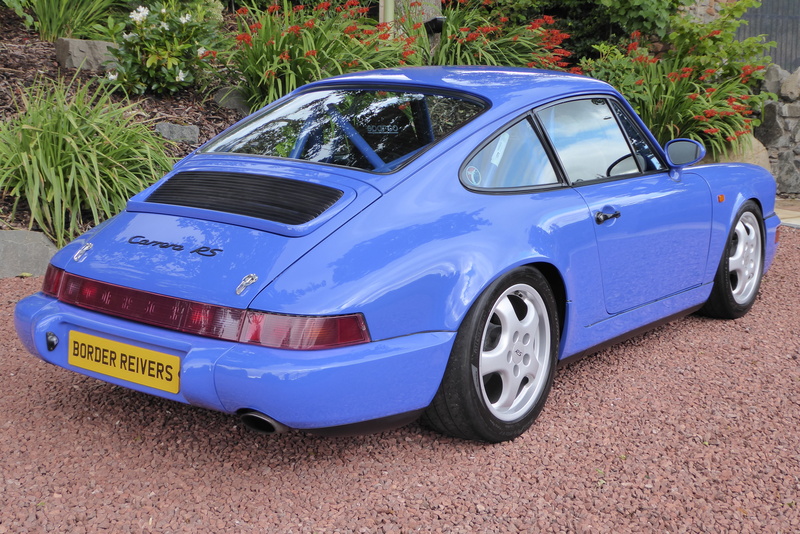 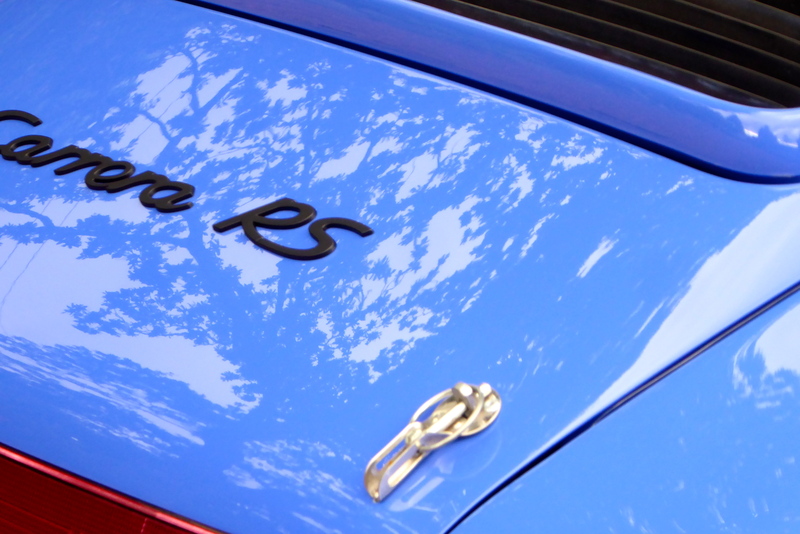 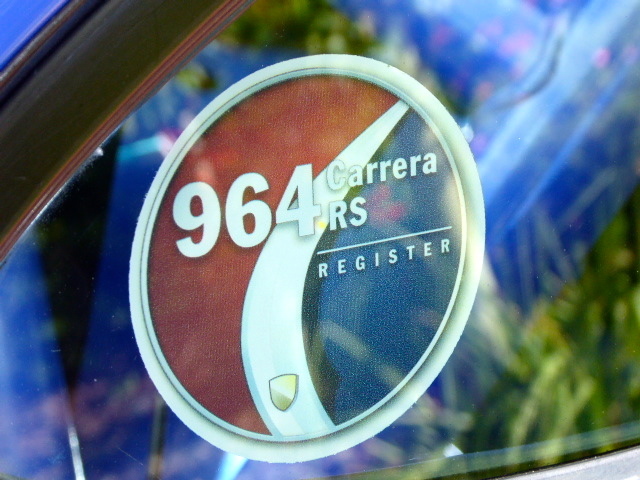 In 1992, Porsche introduced the Carrera RS, a lightweight, rear-wheel-drive only version of the 964. 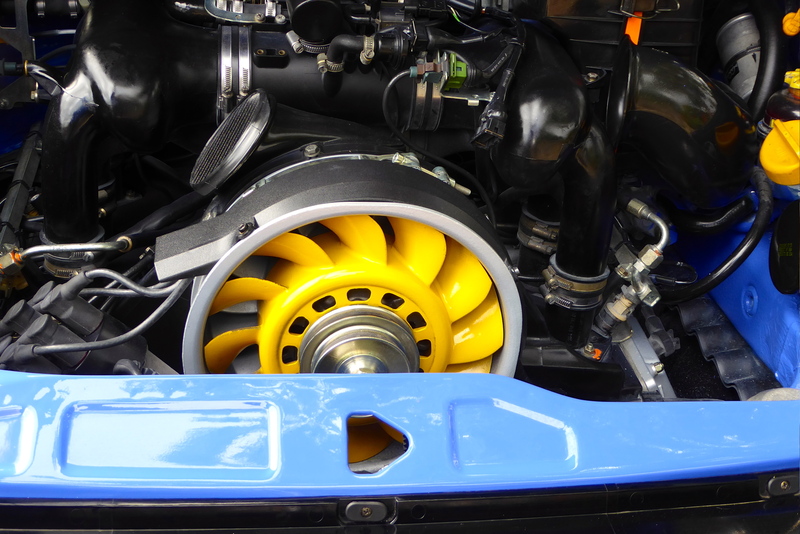 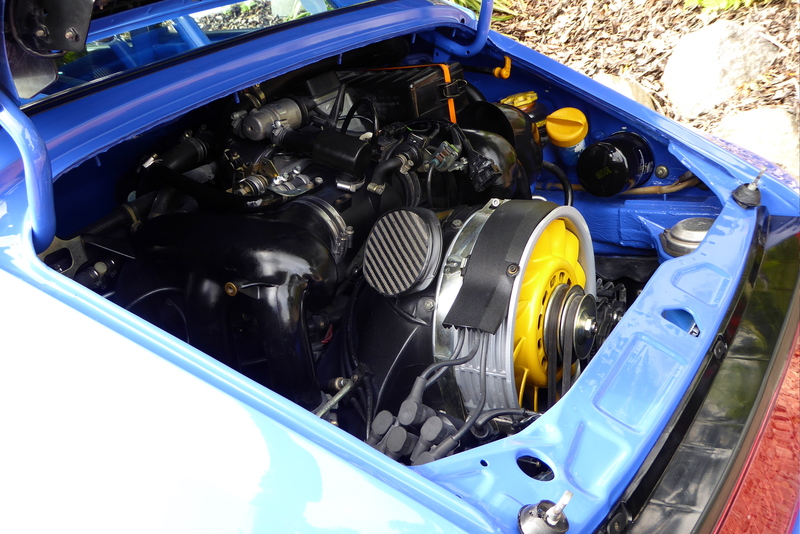 The RS was fitted with individually selected engines of type M64/03 which had a minimum power output of 260hp and a lightweight flywheel coupled to the state-of-the-art G50/10 gearbox which featured closer ratios, an asymmetrical limited slip differential, and steel synchromesh. 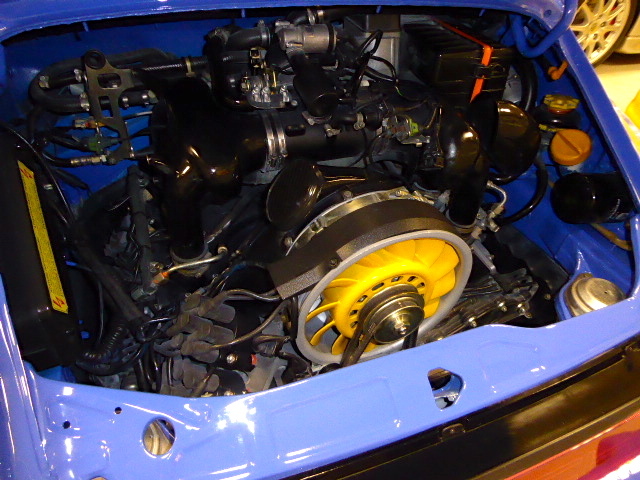 The car’s interior was stripped out and was devoid of luxuries such as electric windows, rear seats and air conditioning. 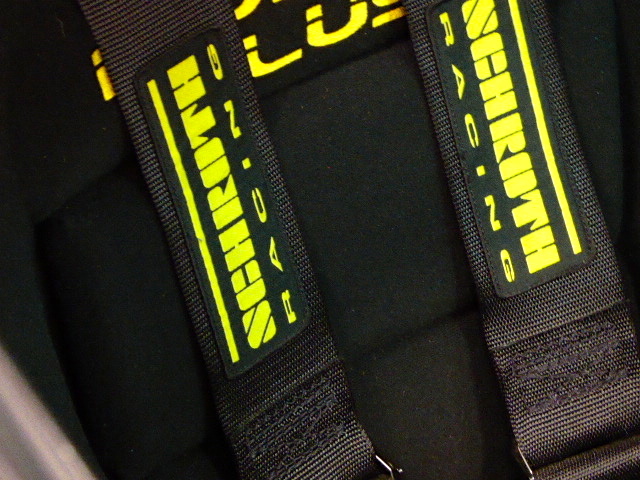 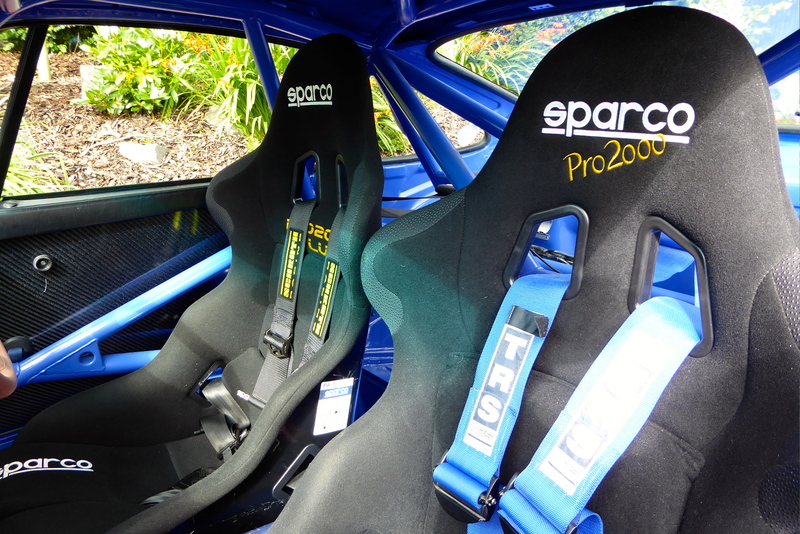 Leather Recaro bucket front seats and lightweight carpets were fitted and the sound deadening was much reduced. 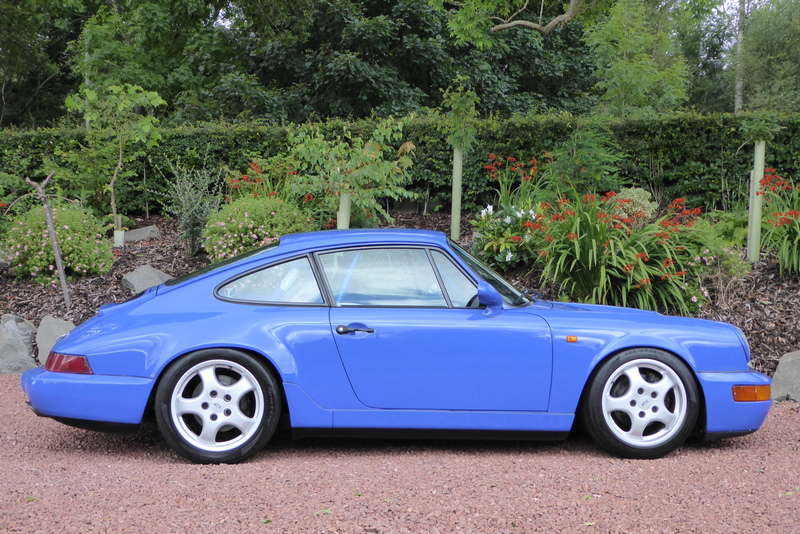 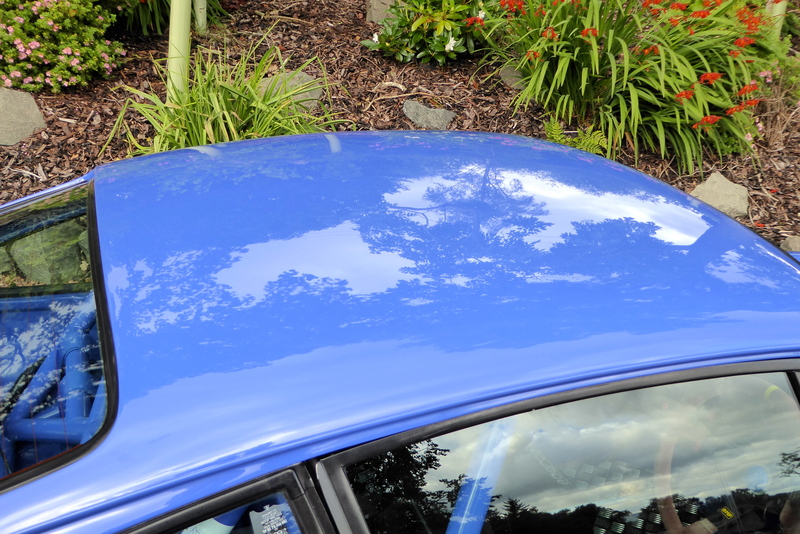 The bonnet was made of aluminium, the chassis was partly seam welded, thinner glass was used in the doors and rear window, and overall the RS was 155kg lighter than the standard car. 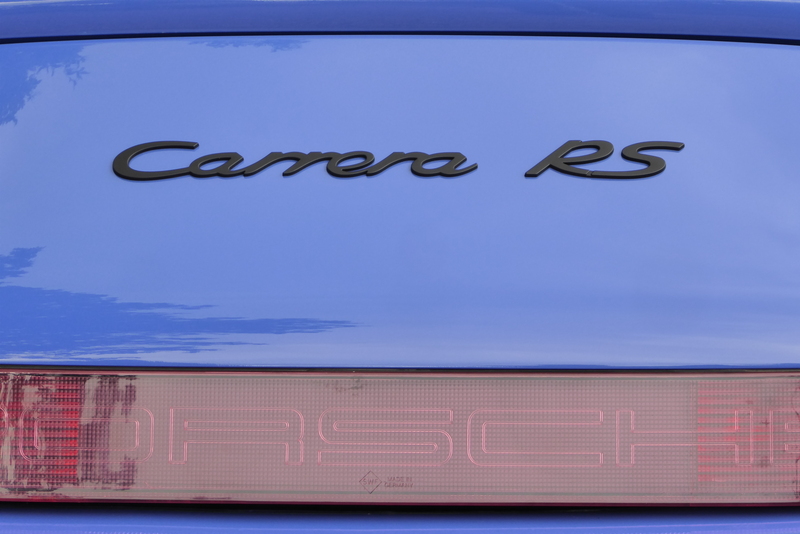 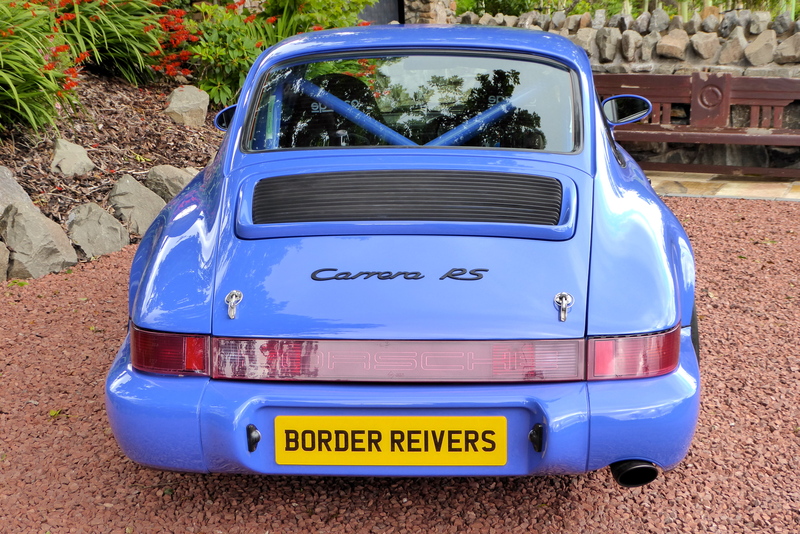 The Carrera RS was further developed by Porsche in 1992 with the launch of the N/GT and a total of just 290 of these very special cars were put together, all in left-hand drive. 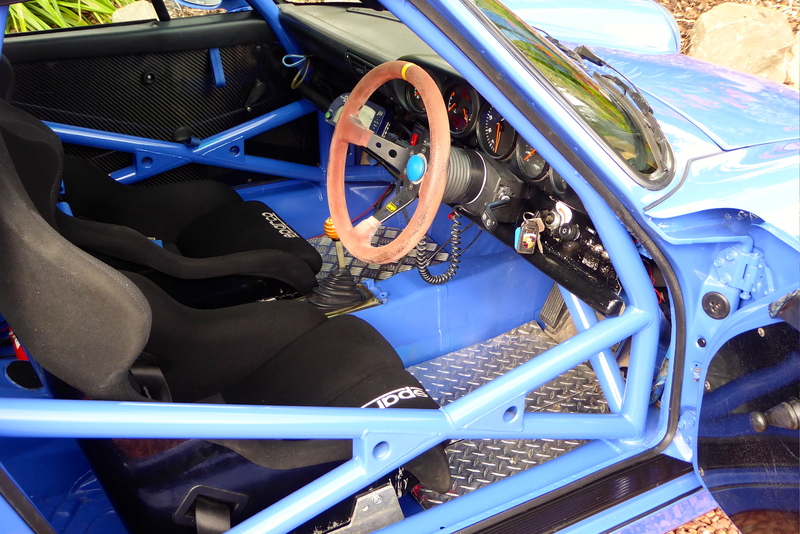 These cars were further stripped-out with all the carpets removed and replaced with plywood foot-boards for the driver. 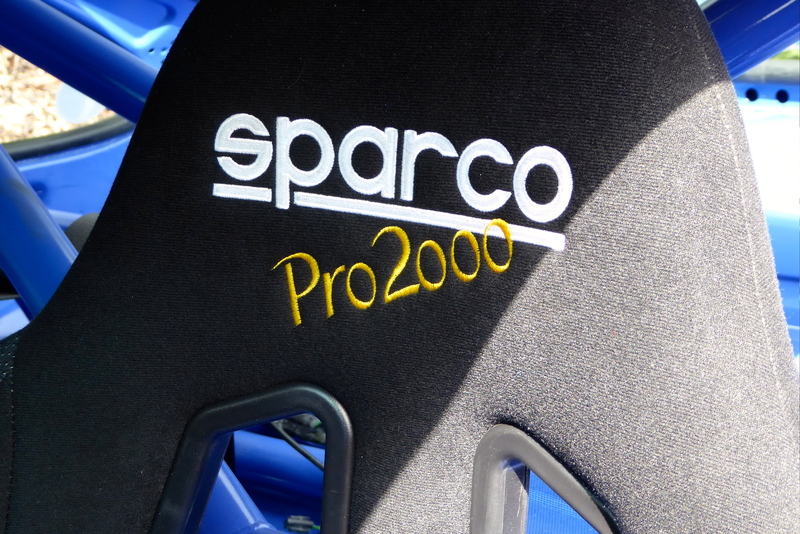 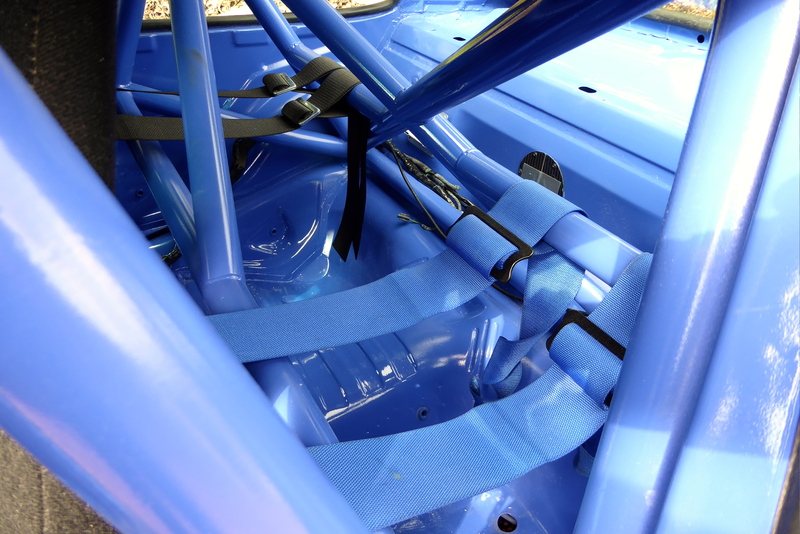 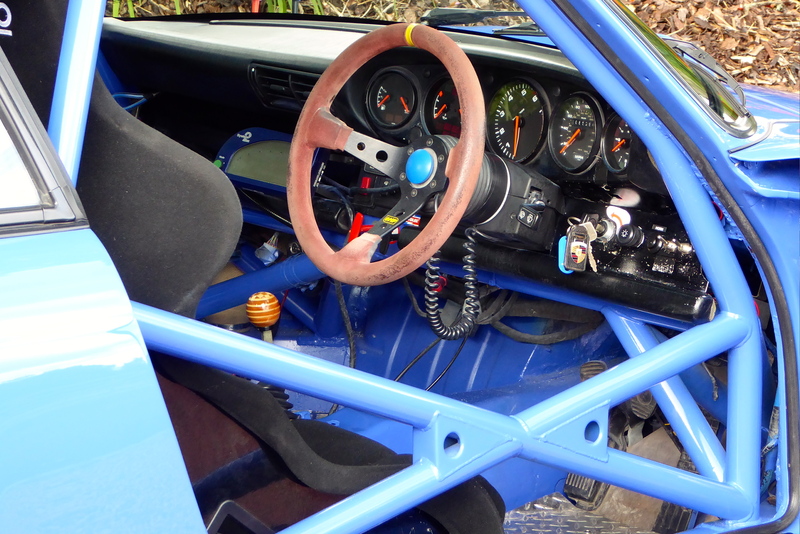 A fully welded cage was fitted, and the standard RS seats were replaced with lightweight, Nomex-covered, FIA specification racing buckets. 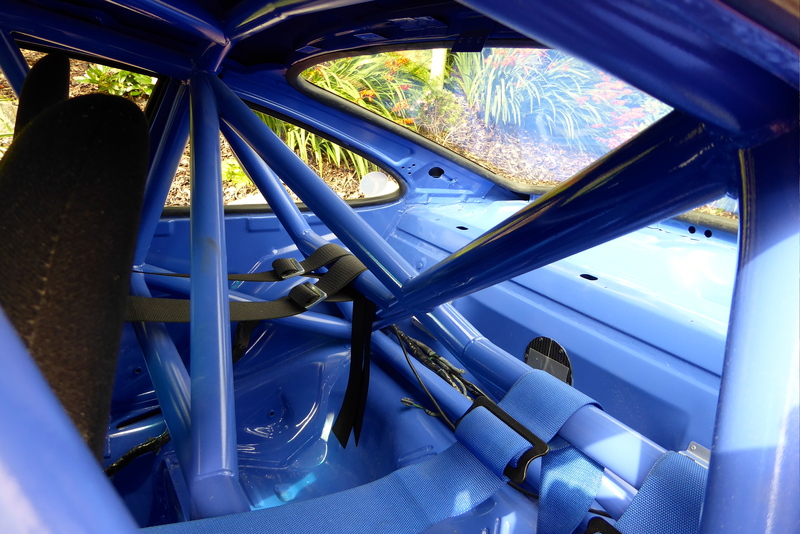 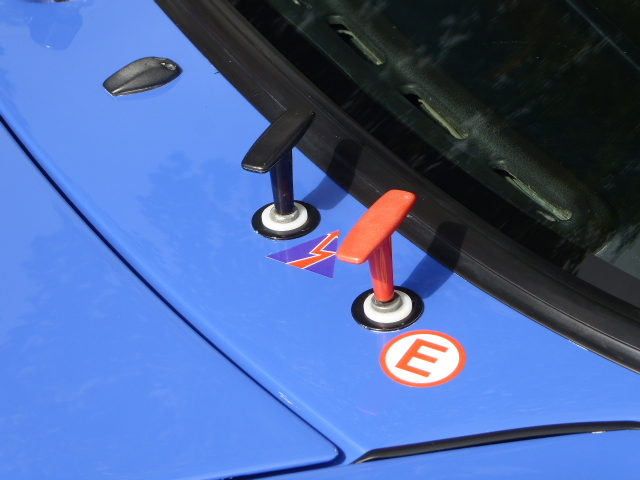 The N/GT also featured a long-range fuel tank, dual internal fire extinguishers, internal dash mounted engine cut-off, and the DME was relocated behind the driver to allow the use of six-point harnesses. 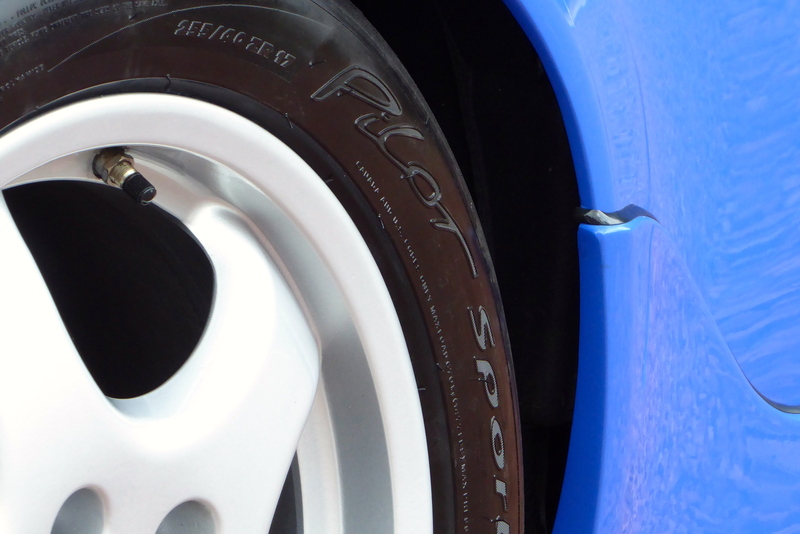 Harder and more track focused, the result is a car which feels more direct and visceral than the standard RS whilst still being usable on road or track.